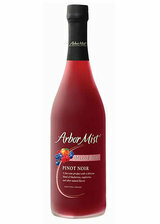 A tasty blend of blueberry, ripe raspberries and peach flavors is added to Pinot Noir to create one perfectly refreshing flavor. Go ahead, mix it up! Just be sure it's nice and cold.